Hudson's Bay has lots of one-day deals today! Plus they have a special Paypal offer on now, save $25 off when you spend $125 or more and pay with your Paypal account. 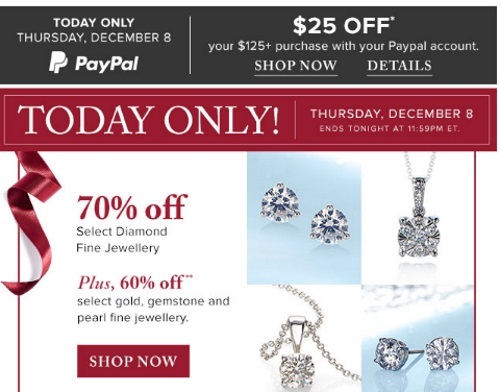 These offers are valid today only, Thursday, December 8, 2016.